As an easily distracted chap, I often find myself rubbernecking as I walk past the magazine racks… and more often than not, it’s because someone has chosen to make the cover model over in a gothic style. This frequently leads to disappointment, when I take a closer look and realise that the woman wearing the eye-catching clothes and make-up is just a random mainstream celeb playing dress-up. This happened most recently with Sugar magazine, when they featured a gothed-up Selena Gomez on their cover, along with the promise that she would reveal “her dark side” to readers! I was hoping this meant that she was planning to cast a Kenneth Anger-esque curse on Miley Cyrus by slitting the throat of a live goat with a Hannah Montana CD or something… but then I checked some scans of the other pages online, and discovered that all the preternaturally cute Latina chipmunk does is talk about breaking up with boys and wanting to be less of a “people pleaser” in future. Blah! A similar thing happened when I flicked on early morning music show Freshly Squeezed a few weeks back, and saw a very pretty lady with a super-sharp bob snarling out at me through the screen. I had the sound off, so as not to wake anyone, and the subtitles weren’t working… so, I had no idea who she was or what she was so angry about. 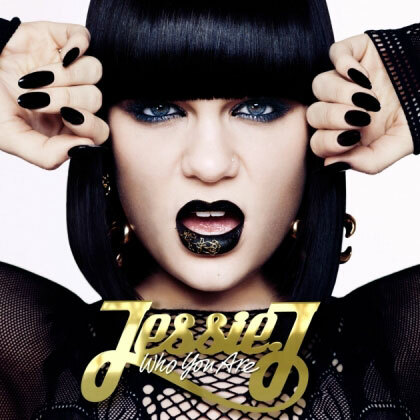 Turns out her name is Jessie J, and she’s a hot new British singer/songwriter… in an urban R&B stylee. It pains me to be so “on trend”, but I love how aggressive she is in that video (NSFW)… and after several replays, the song that goes along with it (“Do It Like A Dude”) has become firmly lodged in my brain! Apparently her debut album, Who You Are, is coming out in a couple of weeks… and I’m guessing it’s going to be a big seller, considering how well the singles have done so far. It’s always a weird feeling when I find myself liking someone who’s actually popular with the general public… not an unpleasant or undesirable feeling… just an unusual one. I’ve heard a few tracks from the album already, and while they aren’t my usual cup of tea, I can still respect what she’s doing… there’s a lot of humour and feisty attitude in her lyrics, and her heart seems to be in the right place. For instance, ‘L.O.V.E.’ includes a line about how romantic attraction transcends gender… on ‘Who’s Laughing Now’, she’s clearly on the side of the underdog, rather than the bullies who ridicule them at an early age… and ‘Price Tag’ could be seen as an anti-capitalist anthem, encouraging the listener to have fun and not be such a “bread-head”! So, as far as I’m concerned, she’s a force for good in pop-culture, and I’m glad to see her succeed. This entry was posted in Rants about Music and tagged Do It Like A Dude, Gothiness, Jessie J, Selena Gomez, Who You Are. Bookmark the permalink.